Wir freuen uns über Ihr Interesse an unser Monkey Moon Recordings. Bei Fragen oder zur Studiovermietung schreiben Sie uns bitte eine E-Mail. We are now only accepting demos in digital form. 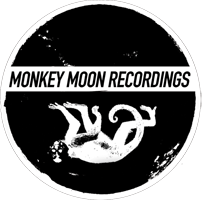 Please email info@monkeymoonrecordings.de with links to MP3 files (but NO MP3 email attachments please! ), SoundCloud pages, or websites. Please remember to include contact details within the email body and keep your submission short and sweet, best tracks first.